Pair of interesting older French made vases. Appears to be a white glaze over black porcelain. 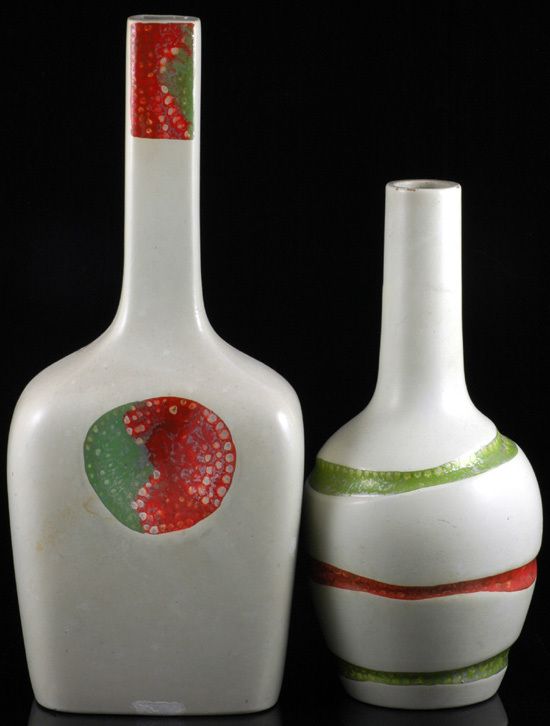 The taller bottle retains an old label stating "Porcelain Francaise Handicraft Co Ltd"
Condition: Taller bottle has two small areas where glaze has been touched up.